KITH is the must-stop shop for all of your men's footwear needs. The Brooklyn location contains an extensive selection of merchandise. 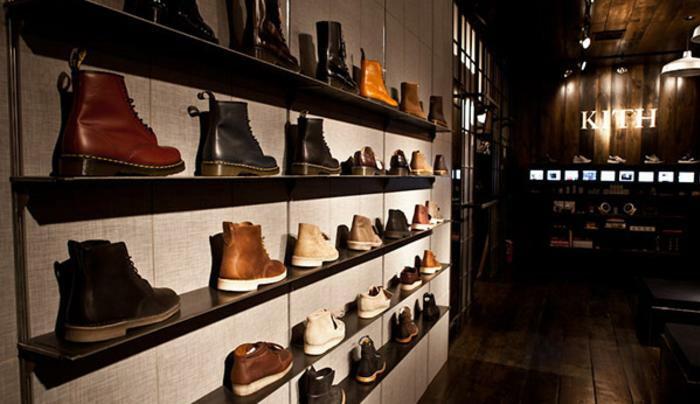 For sneakers you will find brands such as Asics, New Balance, Adidas, Puma by Alexander McQueen, Clae and Supra. 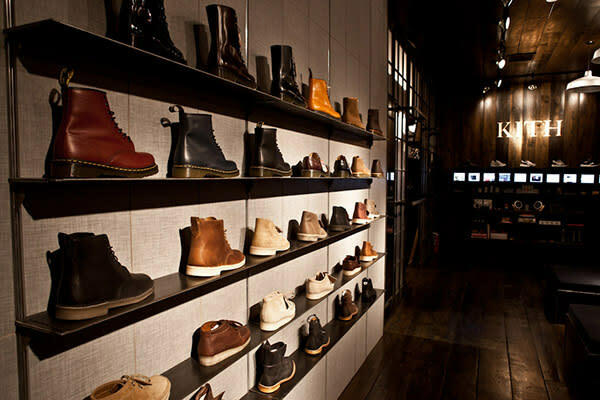 For boots and dress shoes you will find brands such as Red Wing, Grenson, Timberland, Clarks, J Shoes, Florsheim and Dr. Marten. In addition, KITH is filled with Ronnie Fieg collaborative footwear from Sebago, Asics, Quoddy, Chippewa, Caminando, New Balance and many more as well as KITH-branded clothing and accessories.